Ranch vacations come in all forms and guises, and no single dude ranch, working ranch or guest ranch is the same as the next. Some ranches are better suited to couples; others to families; while some are perfect for single travellers. Maybe you’re a foodie, health junkie or yoga bunny? Love horseback riding or totally non-horsey but still looking to immerse yourself in cowboy culture? Or perhaps you’re looking for somewhere extra special for that special celebration. 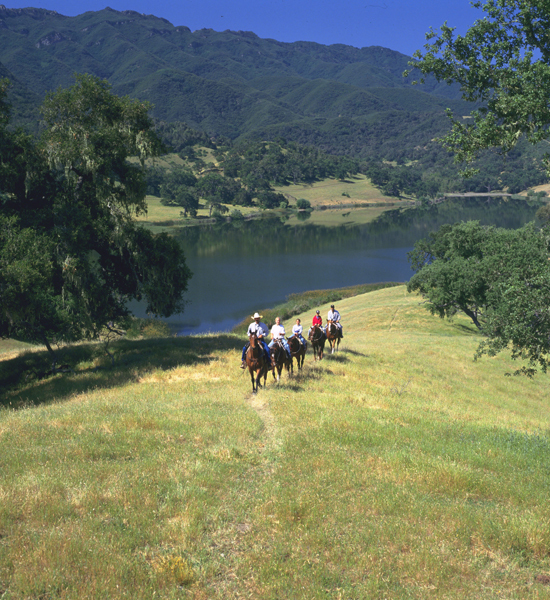 Whatever it is you’re looking for ranch vacations are a destination to suit every need and taste. Solo Travelers – Travelling on your own can be a truly rewarding and fulfilling and experience – a journey of self-discovery and the chance to meet other like-minded free spirits. Badger Creek Ranch in Colorado is working ranch taking no more than four to six guests at a time, making it popular with single travelers. Bonanza Creek in Montana takes only a small number of guests and regularly runs adults-only and experienced rider weeks, with riding and relaxing the main focus of the ranch. Adventurers will love Estancia Ranquilco in Neuquen, Argentina, where you can embark on pack trips into the Andes in small groups. The Hideout Lodge and Guest Ranch in Wyoming is ideal for solo travellers, with the ranch owners hosting meals and friendly and knowledgeable staff guiding all activities - here, solo travellers feel very comfortable, make new friends and leave with lasting memories. Solo travellers looking for luxury and a touch of the exotic should head south to boutique ranch Rancho Las Cascadas in Mexico, where Swiss-Mexican hospitality makes for a relaxing escape. Cultural - True western cowboy culture can be found immersed at several ‘ranching first’ destinations, many with a long history of ranching dating back several generations. For an authentic experience, head to Double Rafter Cattle Drives in Wyoming or Burnt Well Guest Ranch in New Mexico. Exceptional Value for your Dollar - Whatever your budget, there’s a ranch that’ll offer exceptional value for your money. If you’re watching the pennies, budget ranch vacations don’t come better than Texas Ranch Life, which offers flexible packages so you can tailor your vacation to your budget, and North Fork Ranch in Colorado also offers exceptional value for your dollar. If you’re looking to blow the budget, The Ranch at Rock Creek in Montana is the place to splash your cash for a luxury ranch vacation. Unwind from Everyday Life - Rinse out the stresses of work and unwind from everyday life at a ranch that lets you escape from reality. Ranch vacations don’t get more stress-free than Estancia Los Potreros in Mexico, or luxury glamping at The Resort at Paws Up in Montana. Or head to the remote wilderness of Montana’s Bar W Guest Ranch, where mile upon mile of open prairie offers the ultimate peaceful landscape through which to unwind on horseback. Health - Health is becoming more important to more people, and while some see going on vacation as a chance to overindulge, it can actually be a health boost. What if you could find a ranch vacation where health was a focus? Look no further than Echo Valley Ranch and Spa in BC, Canada, which will cater for any special diets, or Vista Verde in Colorado, which offers invigorating yoga and swimming.. Hobbies and Interests with Travel - Why not combine your hobbies and interests with your travel endeavors? Sports fanatics will love Averill’s Flathead Lake Lodge in Montana, which offers a host of outdoor activities including watersports on the lake. Film buffs should head to Majestic Dude Ranch in Colorado, which holds weekly movie nights. Personalized for you - Why conform to someone else’s idea of a vacation – what if your ranch trip was personalized for you, individually tailored to your exact wishes and requirements? That’s exactly what you can expect at Sweet Grass Ranch in Montana, where your schedule will be based on how you want to spend your vacation. Idaho Rocky Mountain Ranch also offers custom vacations, with guests given the freedom to choose from a wide range of mealtimes and on- and off-ranch activities, and to arrive and depart on whichever days they choose. And at New Zealand’s Beaumont High Country Experience, a maximum of 6 guests makes for an intimate experience allowing you to choose exactly what you want to do and when you want to do it. Special Occasions - That special occasion – whether it’s a birthday, wedding, honeymoon, anniversary – or divorce?! – then a ranch is the perfect place to celebrate. Voted #2 Hotel & Resort in the World, #1 Resort in the USA and #1 Dude Ranch in the USA by Conde Nast Traveler, Brush Creek Ranch in Wyoming is ideal for weddings and can cater for up to 100 guests. And for any occasion, Florida’s BG Polo and Equestrian Resorts allows groups of guests to hire parts or even the whole of the ranch. Ladies - It’s true – girls just wanna have fun, and there’s no better place to spend time with your girlfriends than on a ranch. Several ranches run special ladies-only special week – such as Free Rein in BC, Canada, and Rancho Los Banos, in Mexico. Guys - And the guys needn’t feel left out. Try High Lonesome Ranch in Colorado for big game hunting and McGinnis Meadows in Montana for fishing and hunting excursions. If the men are looking to get stuck into some real ranch work alongside the wranglers, ranches such as Chico Basin in Colorado and Rowse’s 1+1 in Nebraska allow guests (and not just men!) to get stuck in to ranch work. Foodies - For foodies out there, there are endless ways to satisfy your creative culinary side. If you just want to dine on incredible food, Top50 recommends Triple Creek Ranch in Montana, where the food alone is a reason to visit. Education - Why not take the chance to exercise your mind as well as your body on a ranch vacation? Education is at the fore at Zapata Ranch in Colorado, under its Ranchlands program, which operates educational programs where children and adults can learn about ranching culture, business and conservation. Latigo Ranch in Colorado places a big emphasis on improving horsemanship – for adults and children alike – focusing on the psychology of the horse. Plus in-depth ecology hikes and talks will teach guests about edible plants, survival skills and the geological history of Colorado. Everyday Exceptional - But the best thing about a Top50 ranch vacation is that even the most inexpensive and authentic working ranches offer 5-star hospitality and experiences - this really is everyday exceptional! From working ranches such as Bull Hill Ranch in Washington to luxury ranches like Colorado’s C Lazy U Ranch with its signature ‘5 spur’ service – all offer their own brand of excellence.